36 Turquoise, 38 Metal Blue, 12 Carmin, 34 Chocolate, 21 Antique Pink, 22 Lilas, 20 Pearl, 15 Sand, 35 Silver, 32 Gold. Hammered Metal Effect colours for all surfaces. 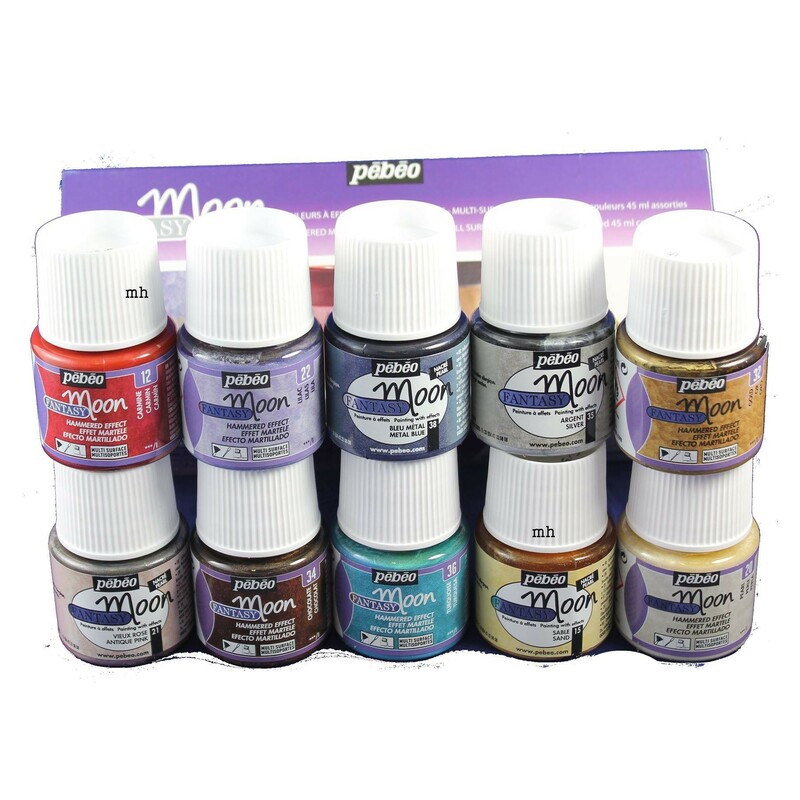 Solvent based effect colours which can be mixed together. Opaque, textured and pearl finish. Easy brush application in thin or thick layers.Immediate effect, can be apllied on all surfaces. Mix thoroughly before use. Flamable may produce an allergic reaction.